BOSTON — Shortly before Hurricane Irma made landfall in the Florida Keys last September, 43 percent of stations in Florida were out of fuel. Three days after the storm, nearly half the stations in major cities throughout the state were still out of fuel or power, causing panic for millions of Floridians. 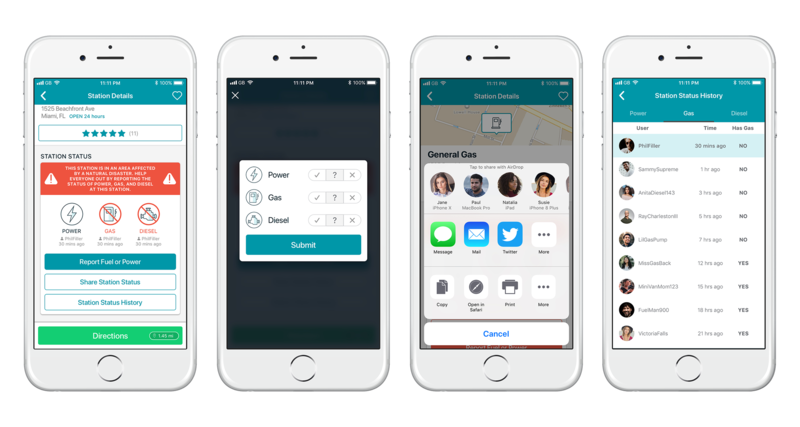 In preparation for this year's peak hurricane season, GasBuddy, the only smartphone app connecting drivers with their Perfect Pit Stop, has made two key improvements to the app so those in need can better locate stations with fuel and power in hurricane-affected areas. GasBuddy activated its fuel outage tracker to help Floridians locate gas stations with fuel and power before and after Hurricane Harvey and Hurricane Irma in 2017 and assisted the Florida Division of Emergency Management with refueling efforts. Learnings from last year’s events have culminated in product improvements to save time and improve accuracy when locating fuel in an emergency. Similar to GasBuddy’s gas price reporting feature, there will now be a timestamp next to each gas station status report to ensure a more accurate experience when locating stations with fuel. Users will be able to view a historical list of outage reports for a specific station, displaying the timestamp, the GasBuddy user who reported, and whether the station had power, gas, or diesel at the time of the report. GasBuddy users will now be able to share gas station updates with their family and friends. A ‘share station status’ option will be located on the station page, allowing users to quickly text, email, or share on social media with their loved ones to inform them which gas stations have fuel and power. The fuel outage tracker and new app features will be activated in the event of a hurricane or similar emergency situation. The Atlantic hurricane season is between June 1 - Nov. 30, 2018.